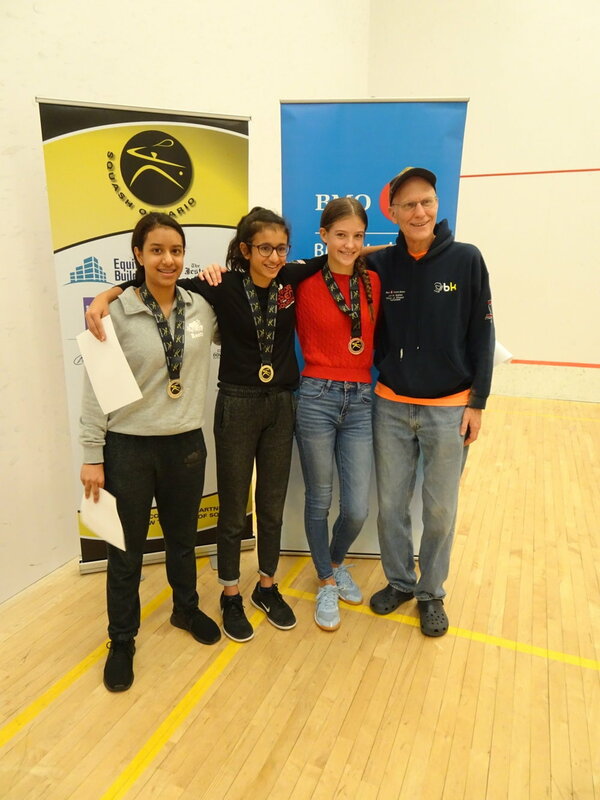 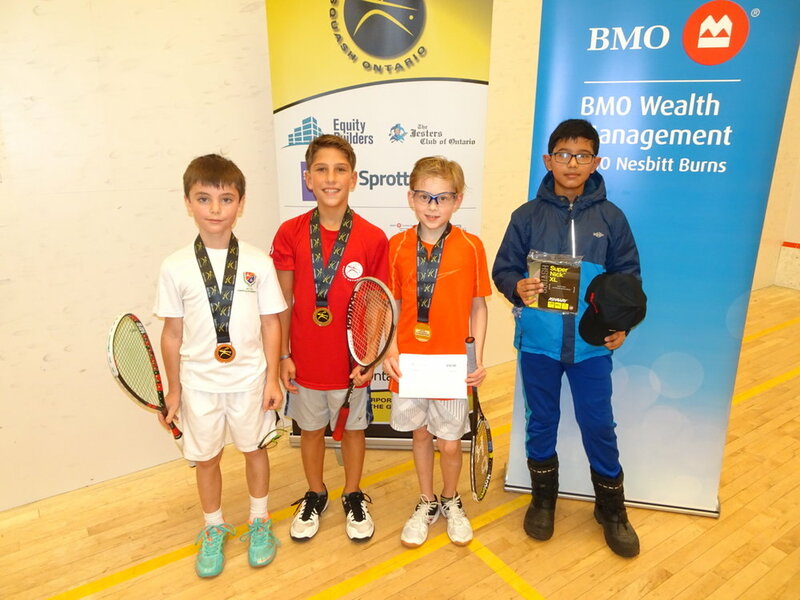 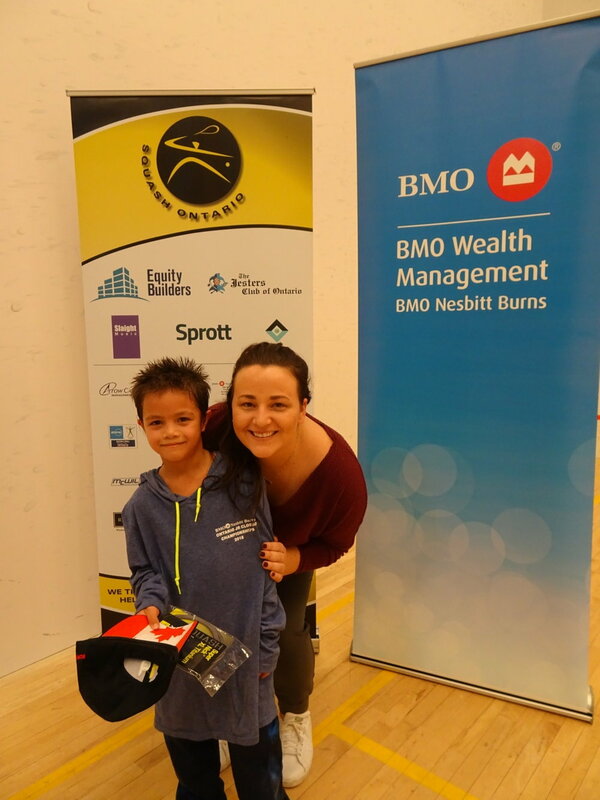 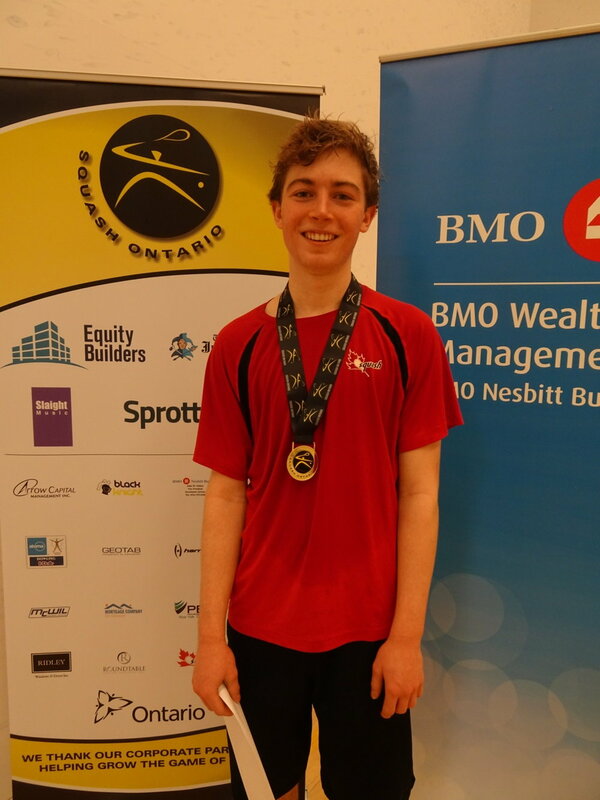 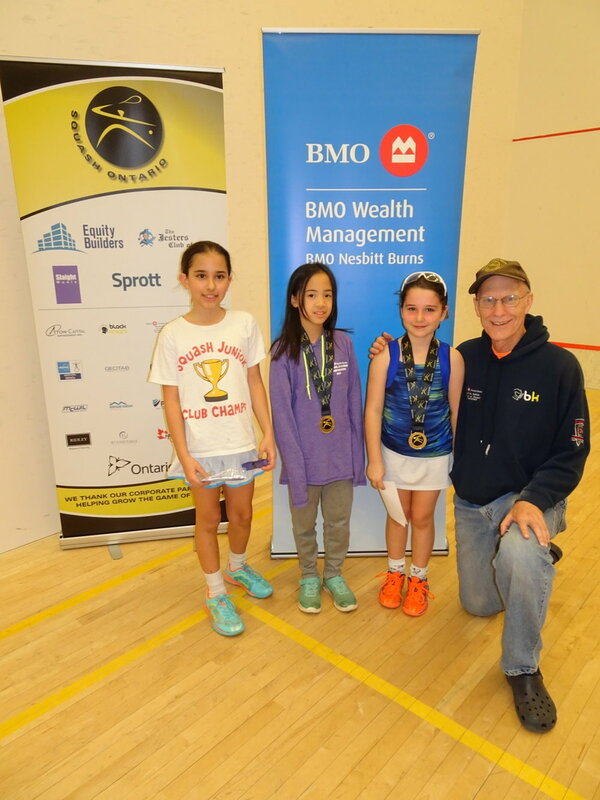 Year after year, the dynamic duo of the Executive Squash & Fitness team, led by Rob Brooks, and tournament sponsor BMO Nesbitt Burns, represented by John Sekhar, put on a seamless Ontario Junior Closed which is the first junior championship event of the squash year. 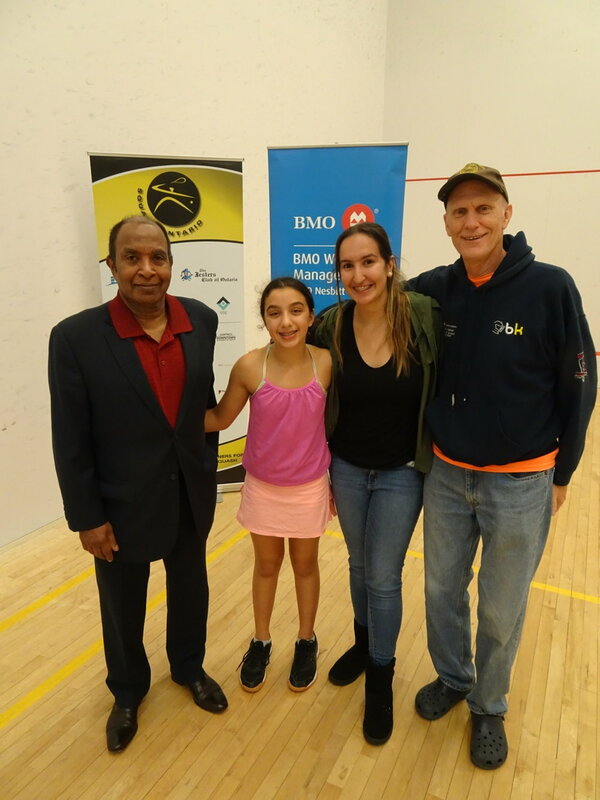 This year was no different with Rob at the helm yet again with his team of Executive Squash volunteers. 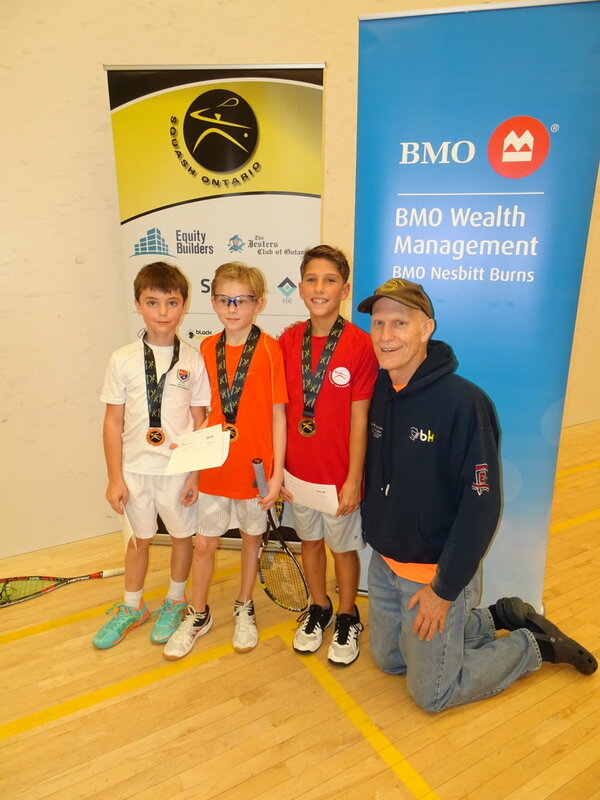 We’s also like to thank our Official Therapy Provider Endeavour Rehab (Dan and Joe) for popping by on Saturday to work with participants, Beretta Farms for catering such tasty and healthy food, and Control the T Sports for providing tournament prizes. 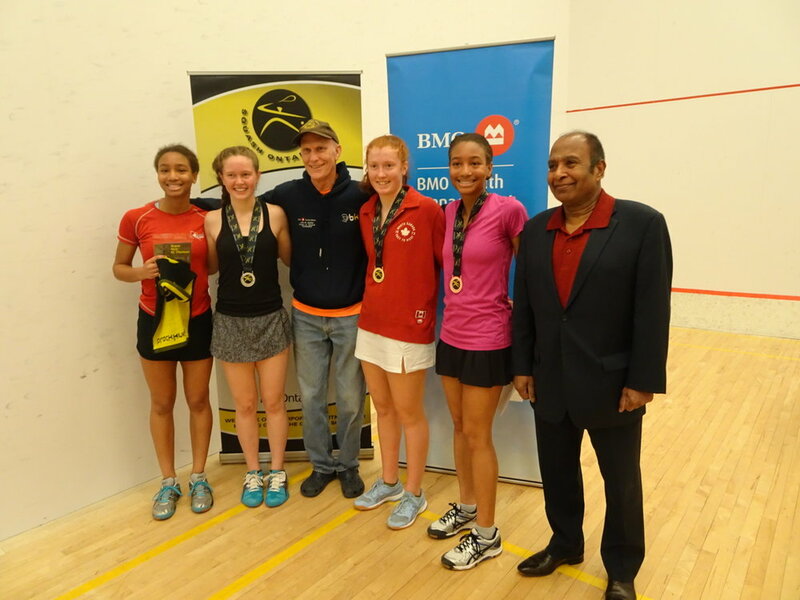 Congratulations to all participants, family and friends for their continued support for the sport. 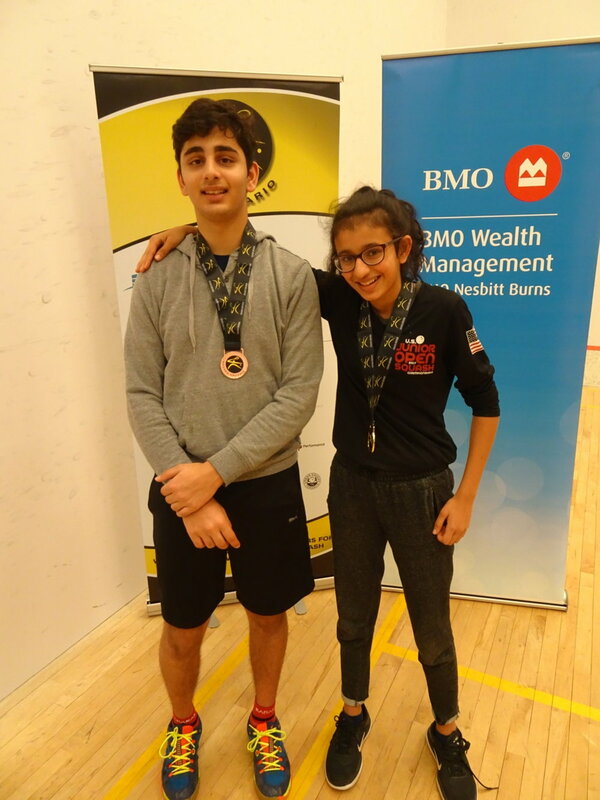 This event is both a culminating competition of all the hard work athletes have put in throughout the past few months/years, as well as a preparation event for those going on to compete in the upcoming Canadian Junior Open, U.S. 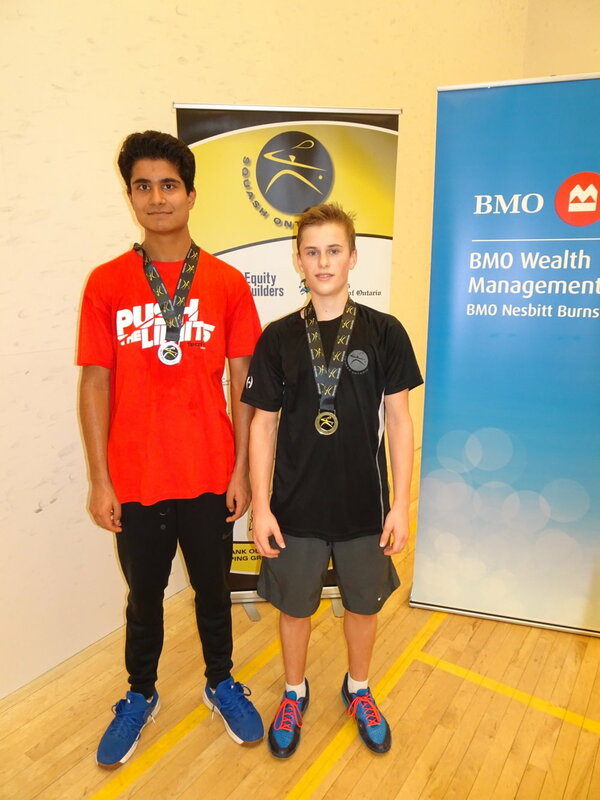 Junior Open, or other international events taking place throughout December. 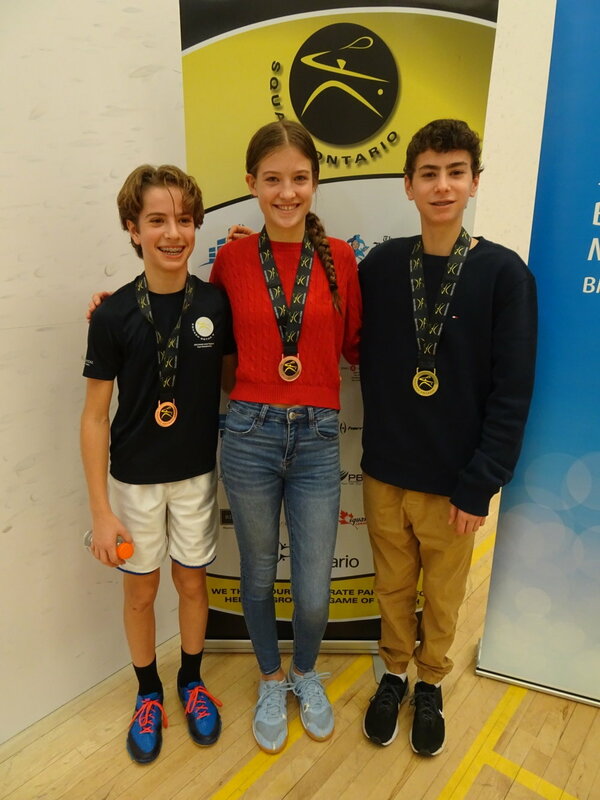 Momentum is building for Ontario athletes and we look forward to seeing everyone represent their clubs, province, and country at the next few events!